The hamstring muscle group consists of three muscles; Biceps Femoris, semimembranosus and semitendinosus. The majority of hamstring injuries occur in the biceps femoris muscle, they are usually a non-contact injury and mainly occur during sprinting and kicking. 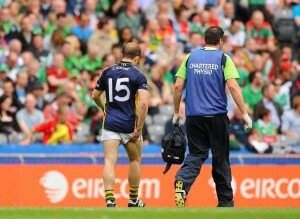 Injuries are common place in Gaelic football and the most recent research by Murphy et al. (2012) analysed the incidence of injury in Gaelic football from the 2007 playing season through to the end of the 2010 playing season. A total of 851 Gaelic football players were included who were all playing at the highest level of inter-county football. Each team’s specific injury, training and match day data were submitted each week by a team of physiotherapists through a web portal. Over the four-year period there were a total of 1,014 injuries reported, with muscle injuries representing the highest incidence at 42.6% of all injuries (431.9 injuries), 243.3 of which were hamstring injuries making it the most common injury overall in the four-year study. In the GAA there is an average of 7.5 hamstring injuries per club per season while in the AFL and soccer there is an average of five which has been decreasing over the past 10 years. Again Murphy et al. 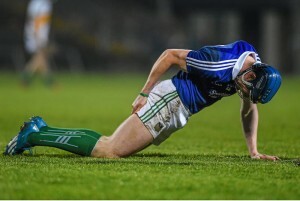 (2014) explored specific injury occurrence in the national GAA database which finds hamstring injuries once again to be the most prolific injury within the GAA. Hamstring injuries accounted for 25% of all injuries in the 2014 playing season with a total of 84 injuries, 61 of which were new injuries and 17 being recurrent in less than one year. 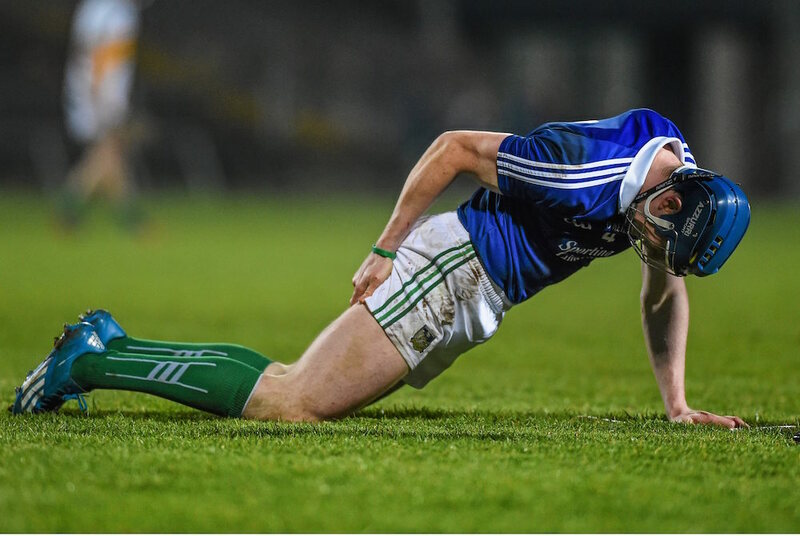 The results obtained in 2014 were slightly higher than in the four-year study between 2007 and 2010 and have a much higher hamstring reoccurrence rate which is a growing problem in the GAA. This is a particular thorn in the side of GAA players but how can we prevent this? Here at The SISM Clinic we have conducted our own research into hamstring injury prevention. 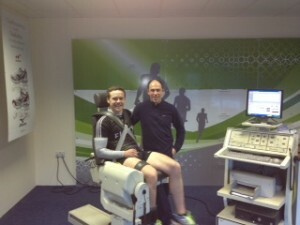 Isokinetics has been widely used to assess hamstring strength in Gaelic footballers(Mackey et al. 2011)whilst the single leg bridge test (SLBT) has been used in the AFL (Freckelton et al. 2013). We have studied twenty one elite Gaelic footballers (age 20 ±1.05, standing height 180.66 ± mm, body mass 80.66 ±7.9 kg) were assessed. Any players who had a hamstring injury in the previous six weeks were excluded from the study. The SLBT was performed on both legs, patients had to perform as many repetitions until fatigue. Concentric hamstring and quadriceps peak torque at 60, 180 and 240 degrees/second (/s) were recorded using an isokinetic dynamometer (Biodex System 3). SLBT correlated with Isokinetics peak torque @ 60/60 (°/s) (r=1), 180/180 (°/s) (r =.791) and 240/240 (°/s) (r =.567). From this research we have developed specific hamstring prevention programs which involve isokinetics and individualised strength work for injury prevention. 1. Murphy, J., O’Malley, E., Gissane, C., Blake, C. (2012). Incidence of injury in Gaelic football. The American Journal of sports medicine. 1 (1), p2113-2120. 2. Mackey C., O’Sullivan K., O’Connor A., Clifford A. (2011). Altered hamstring strength profile in Gaelic footballers with a previous hamstring injury. Isokinetic and Exercise Science. 19 (1), p47-54. 3. Freckleton, G., Cook, J., Pizzari, T. (2013). The predictive validity of a single leg bridge test for hamstring injuries in Australian Rules football players. BJ Sports Med. 48 (1), p713-717. No Comments to "Preventing Hamstring Injuries at The SISM Clinic"